How could I have been in the dark for so many years? 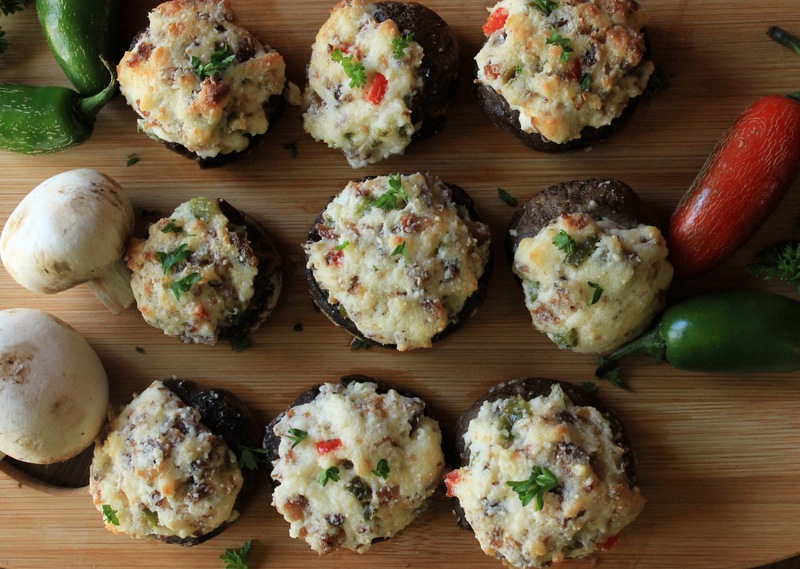 Am I the only one who didn’t know that Jalapeño Popper’s could be stuffed into mushrooms? So it happened like this, the other day as Stan and I were driving together someplace, I was thinking about food. More specifically, guy-food that I knew he would love. 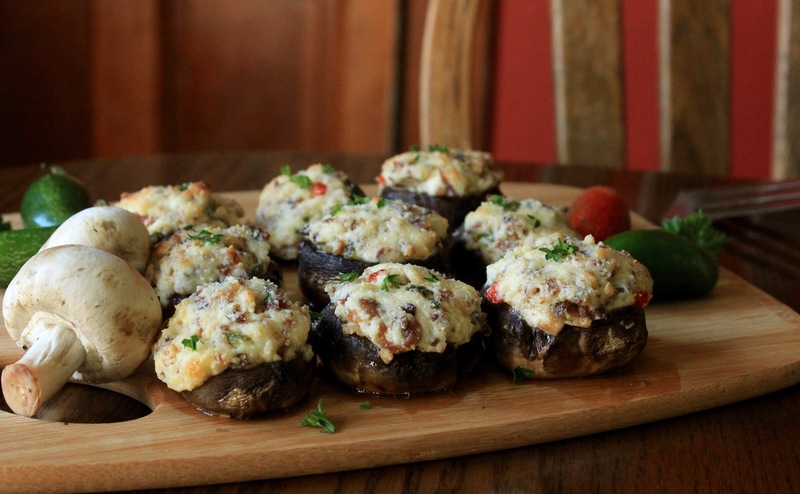 Suddenly it hit me, Jalapeño stuffed mushrooms! I exploded the idea to Stan who thought it a marvelous idea indeed. I was convinced I had just thought upon a genius idea that no-one else had conceived. I decided to “google-it” just to make my point, but….. realized I was not the first! My bubble was popped. But, I went ahead with my idea anyway and we were not disappointed! Stan thoroughly enjoyed them. I liked them and I’m not the hugest mushroom fan. Even Declan was licking the cream cheese out of the mushroom! 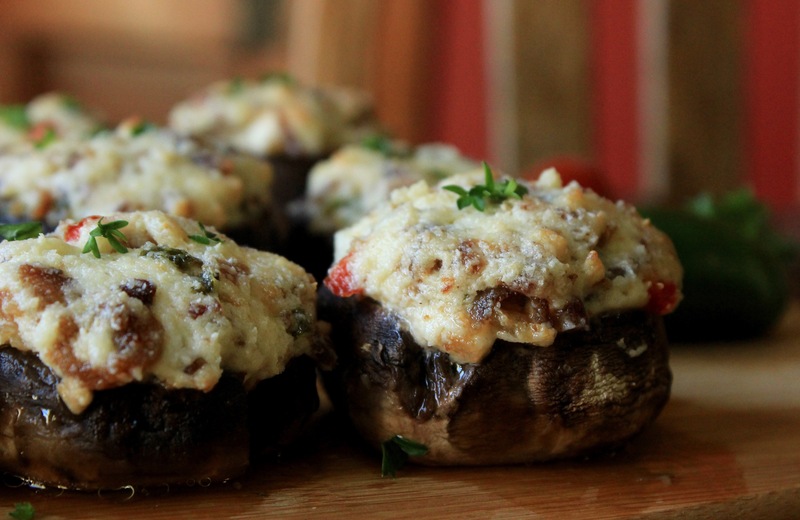 Please excuse me while I post pictures of my stuffed mushrooms! I don’t know where to start and stop. Look at all that bubbly goodness? These are definitely a keeper. Preheat oven to 350º. Line 8×8 baking pan with foil. Wash and remove stems from mushrooms. Dry on paper towel. Heat skillet and add bacon. Fry until bacon is cooked. Remove bacon from skillet and fry peppers and garlic in bacon drippings. In small mixing bowl, beat cream cheese until smooth. Add parmesan cheese and ranch powder. Stir in bacon and peppers, mixing until combined. 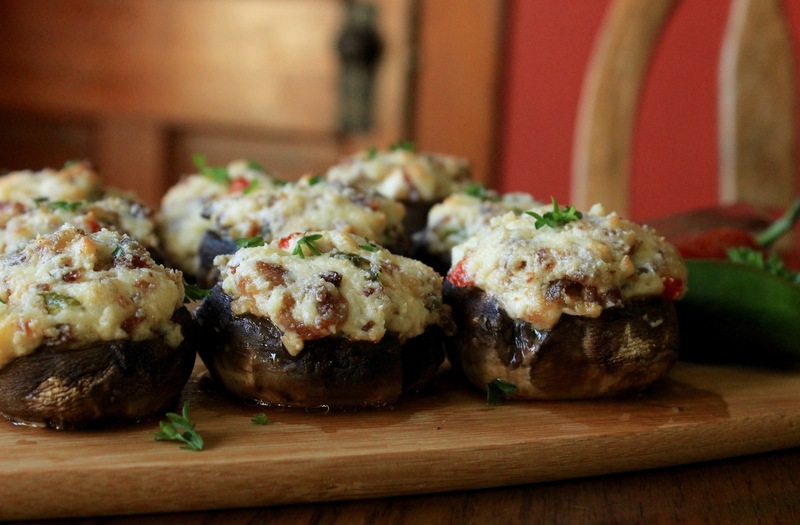 Fill mushroom tops with heaping 1 tbsp filling. Sprinkle with additional parmesan cheese. Place in foil lined pan. Bake in preheated oven for 20-25 minutes. Serve immediately.